Your Big Shot at Landing a Government Contract! Acquiring a government contract is very profitable for businesses, the first contract gets your feet in the door. The government’s purchasing departments across the U.S. play an important aspect in the conduct of government activities. Contracts happen when the government outsources services or products to other U.S. or overseas companies. Different types of contracts can be obtained, whether it’s on the smaller scale, such as office supplies or big projects like construction or human resources. Contracts involving technology and security are just lucrative, if not more in this tech age. The government has a priority in keeping sensitive information secure from theft and hacking. Leaked data can cause massive security vulnerability. Reliable outsourcing to U.S. businesses for cyber security is in high demand by both the government and companies that want to avoid malicious attacks. According to a research done by Duncan Amos with Bloomberg Government. The American Federal Government spent $447.6 Billion in 2014, a decrease of 3.1% from 2013. Whatever business industry or sector your company is in, there is a contract waiting for you, even with the decreases in funding from time to time. The most crucial part is to be awarded the contract for the first time. As of 2015, the government is increasing their expenditures, there is no better time to get in the game. Comply with the requirements, it is essential to make your company a good candidate. Successfully fulfilling the agreement shows attention to details. For novice, “sharpen your pencils a bit” when presenting a proposal. Make sure your fee comes with a slight padding for emergency expenses. Present a detailed and cohesive Capability Statement. The first contract you acquire is a chance to show what you’re capable of and it’s the perfect time to showcase your capacity. Your first project can lead to more successful contracts in the future. Become the Expert of your Industry! You should identify the services and products you are capable of providing, a capabilities statement is essential for this. There are thousands of offers yearly and you need to narrow down to the most appropriate contract that matches your business model. Competition is tight in government contracting. Be ready to face companies of all scale, small and big. Assess your company if it is ready for this kind of environment. You may fail many times but look at the other companies that succeeded. Study your competitors and learn from them. What are the strategies that are helping them land the contracts? Running a business requires dealing with all the paper works and legalities. 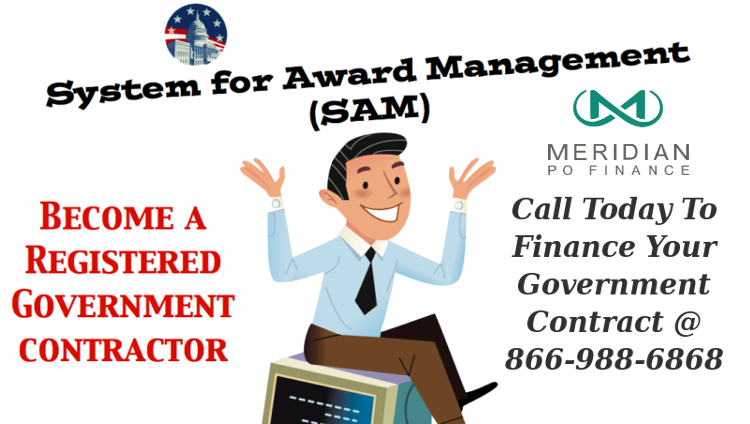 The System of Award Management (SAM), NAICS and a D-U-N-S (Data Universal Numbering System) Number are requirements prior to being awarded any type of contract from the government. The Dun & Bradstreet D-U-N-S Number is free of charge and is given to each physical location of a company. This can be requested within one day via DUNS website. SAM is the database of companies that have contracts with the government. You can also know about the application process at the SAM website. North American Industry Classification System (NAICS) registration is used for tax and administrative purposes. If you are registered in SAM, it allows the government agencies to find your company in the database and get information such as location, services, size, and ownership etc. NAICS is a classification system that categorizes businesses according to the economic sector, industry, and country of business. Start bidding but you need to start small. This will help you and your business get recognized. Showing good performance in your first contract will give a good mark and bigger opportunities to land more government contracts. Some successful businesses started small by subcontracting from federal contractors. They can also acquire asset based funding like purchase order financing to avoid out of pocket expenses. This financing method for government contracts also helps ensure financial stability to take on larger government projects. Doing research will give you a lot of tips on how to start in this field. Access the government websites we mentioned in this article, where you can learn and register your business. There are lots of resources that you can use. Allot adequate time to study and familiarize yourself with government contracting. Having adequate knowledge and preparation will give you an advantage. It may be difficult in the early stages but success comes to those who persevere and work hard towards their goal.